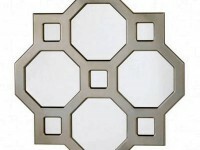 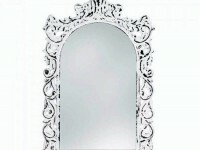 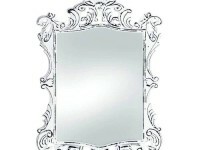 SHIPS FREE- Make your space appear larger and more stylish with this striking wall mirror. 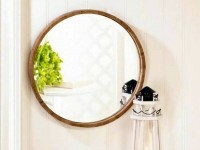 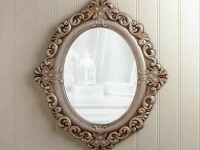 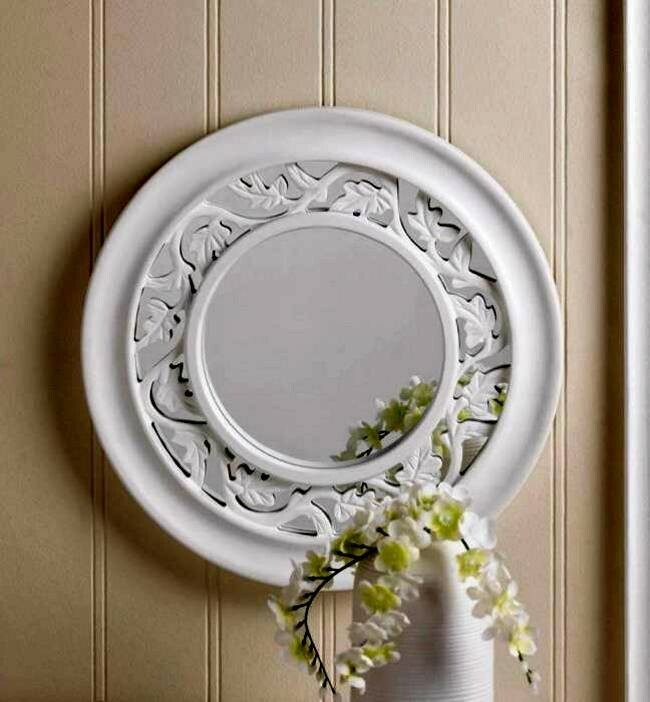 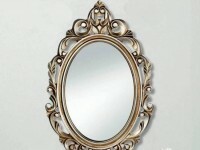 The white round wooden frame features a cutout leaf pattern that lets the mirror peek through from behind. 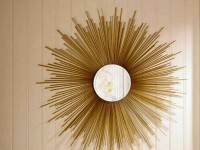 This is the perfect finishing touch for over your mantel or hall table. 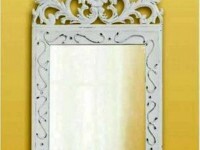 Saw tooth on back for hanging. 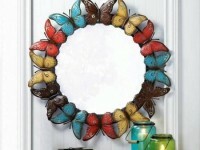 SIZE: 12.5" x 12.5" x 0.75" High; Reflective mirror: 6.25" diameter.